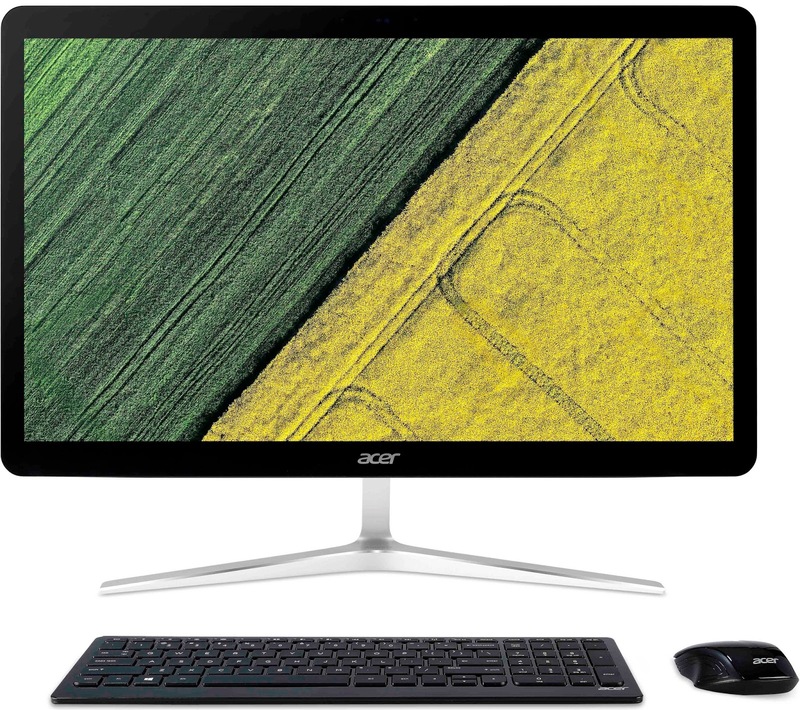 Acer has announced two new sleek all-in-one desktops, namely the 27-inch Aspire U27 and 23.8-inch Aspire Z24. With 7th Gen Intel Core processors and optional Intel Optane™ Memory, both devices provide a powerful and responsive Windows 10 experience, while adding a touch of style to the home environment. The 2017 iF Design Award-winning Aspire U27 boasts an impressive ultrathin 12 mm (0.5 inches) chassis with an elegant diamond-cut v-shaped metal stand, bringing a new dimension to home computing and entertainment. With a 27-inch Full HD wide viewing angle display (1920 x 1080), and a specially designed subwoofer bringing powerfully deep bass, this all-in-one provides entertainment with a punch. The Aspire U27 features Acer’s proprietary LiquidLoop™ fanless cooling system which allows for quiet operation. It uses liquid evaporation and condensation to transport and dissipate heat, making it energy efficient and extending the product’s lifetime by doing away with detrimental dust buildup. Thanks to Windows Hello, members of the family can each log in to their accounts faster and more securely than before via facial recognition. Skype for Business certification ensures a crisp and lag-free communication experience during video conferences. The Aspire Z24 is extremely thin at 11 mm (0.4 inches) with a beautifully shaped rear cover, making it a handsome addition to any room in the house. It is available with discrete NVIDIA® GeForce®940MX graphics, providing extra power for a wide range of activities, while an optical drive is also available. The Aspire U27 and Aspire Z24 feature Acer ExaColor™ technology which corrects coluors and adjusts contrast for vibrant and accurate picture quality, a great benefit for those who enjoy digital photography, casual gaming, social media and content via HDMI input. In addition, the Aspire U27 and Aspire Z24 include Acer’s BlueLightShield™ technology, which reduces the emission of blue light which can help minimise eye strain, and Acer Flickerless™ technology to cut down on eye fatigue. Dolby® Audio™ Premium provides superior sound while enjoying movies or light gaming. A smart leather cable management holder keeps the workspace neat and clutter-free, while a screen that tilts from -5 to 25 degrees allows for easy adjusting of viewing angles for maximum comfort when browsing, watching movies, and taking video calls. The Aspire U27 Series will be available in South Africa from August with prices starting at R19, 999.00. The Aspire Z24 Series will be available in in South Africa from August, prices TBC. For more information, visit www.acer.com/nextatacer.